Please refer to the sample bill below. 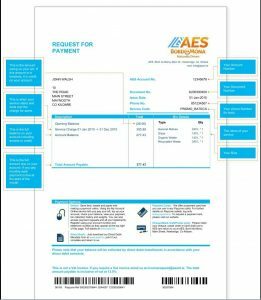 This bill has a number of prompts on it to help you find the information that you are looking for. My bin was not collected, how do I report this? 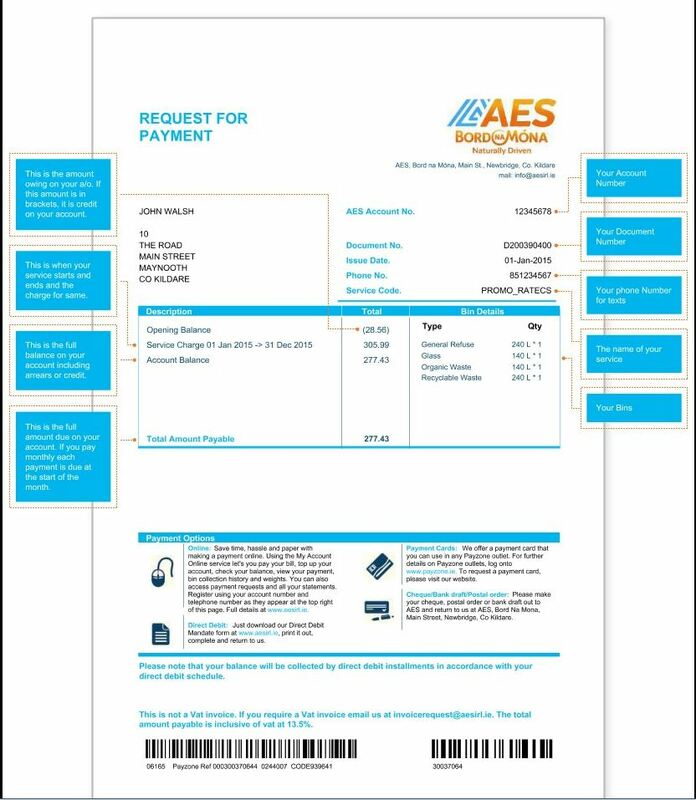 I am moving home, does AES service my new area? How do I order an additional bin? How do I sign up to Direct Debit?